A growing trend that we’re seeing this year is fantasy tresses, hair dyed grey and silver. As the trend sweeps over our area a lot of guest are coming into Salon Adrian wanting to achieved this look and we love it! Trends like these gives us an opportunity to flex our creative muscles, but with new and popular trends it’s always important to set guest expectations. 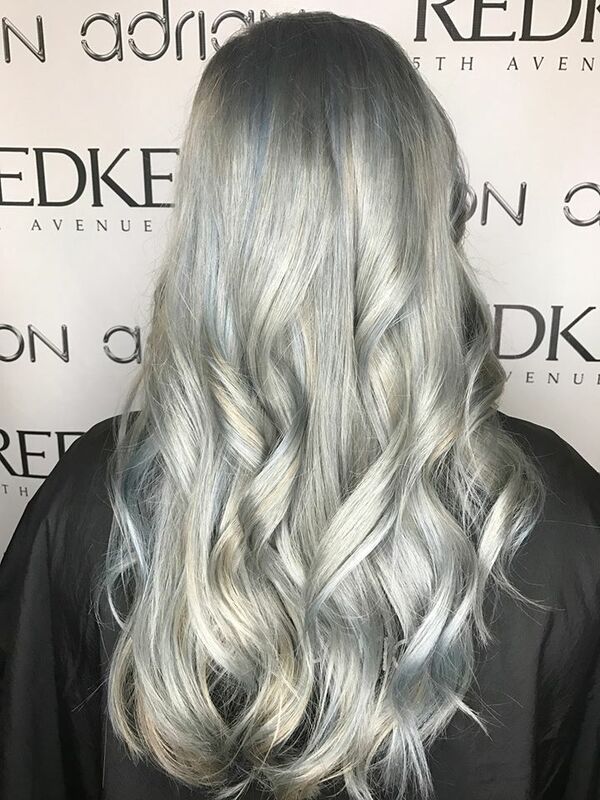 To achieve this look and obtain a true silver color, like Jessica was able to do for her guest requires a great level of commitment and investment. To maintain the health of the hair and the vibrant color is a serious undertaking. From dark and brassy to silver and icy doesn’t happen with a blink of an eye. So, if you’re considering a major hair color transformation like this rising trend, you want to keep reading to find out how this look is achieved. Jessica’s guest came in with 4” of regrowth and old balayage highlights that had turned quite brassy. There were a lot of different color action going on! Step 1: Jessica used Redken FlashLift with 40 volume and pHBonder to lighten in Zone 2. 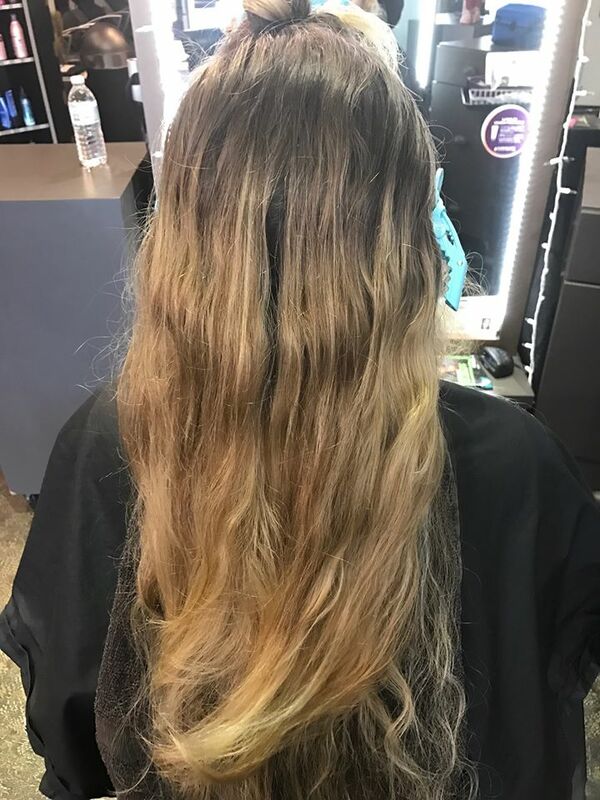 She used a balayage technique to achieve a easy natural blend coming off the root area but saturated well to lighten the darkest part of the hair and remove any brassiness in the mid shaft. Step 2: Then she thoroughly rinsed the hair making sure to remove all signs of the product. Followed by an application of Redken’s pHBonder Step 2 treatment and shampoo using Redken Extreme Shampoo and finally using Redken’s Chemistry Extreme Shot to strengthen the hair in preparation for color deposit. Step 3: The Color! A base color application using Redken Color Fusion in 5T with 10 volume then Jessica stretched the root out about two-inches. Then she added highlights with Redken Hi-Fusion B with 10 volume. The remaining color was applied using equal part Color Fusion clear and 8T with 10 volume. Step 4: Cut and Style. Jessica gave her guest a long layered haircut and then applied Redken Pill ow Proof Primer & Guts 10 to her roots. To give her a smooth and voluminous blow-dry with lots of movement she applied Satinwear 04 to her ends. For heat protection and hold Jessica applied Iron Shape 11 then curled the hair back and away from her face using a 1 1/4 inch curling iron. This creates a soft wave that perfectly accents her amazing color! Finish with Fashion Work 12 for a medium hold and workability. 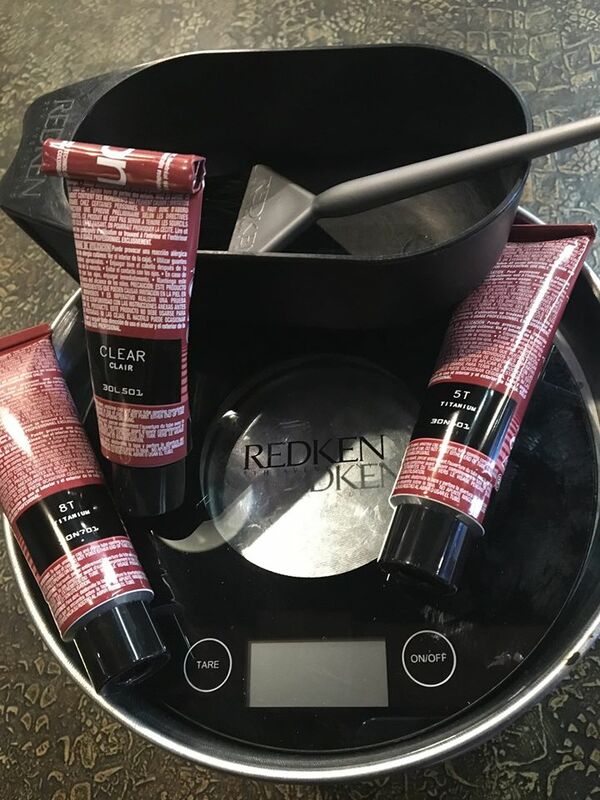 Jessica sent her client home with four products: Redken Color Extend Magnetics Shampoo and Conditioner to maintain her color, the brand new Extreme Mega Mask to keep her hair nice and strong and pHBonder Step 3 to use once a week before her shampoo to maintain her hair’s natural pH levels. 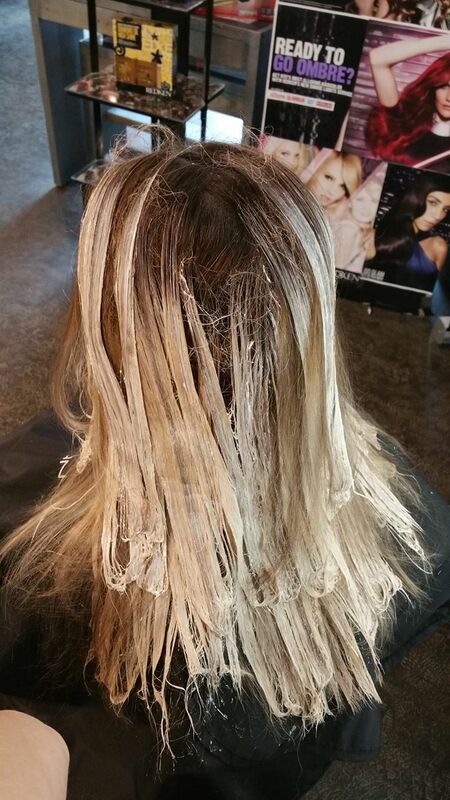 The result is a gorgeous icy silver blonde with hints of blue! An investment of time and resources but all worth it. Considering a hair transformation but not sure where to start? 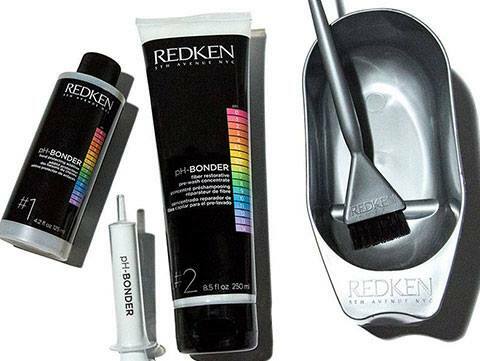 Here are some tips from Redken on speaking to your stylist about your hair color. It takes more than hocus pocus to achieve beautiful results and the stylist at Salon Adrian are ready and willing to make all your hair color dreams come true! To book your next appointment give us a call at (239) 481-1010.